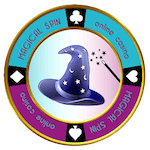 Magical Spin casino want you to enjoy your gambling time with all its ups and downs. So if you lose, you can grab a 5% to 10% cashback bonus to keep the fun alive. 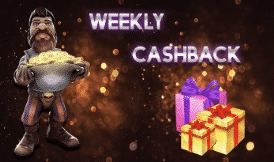 This promotion is offered every Sunday and is valid only for VIP players. The deal varies according to your VIP level and is calculated of the total deposit amount made during the previous week. Is granted in real cash money with the immediate cash out option up to 10 times the received bonus amount. Benefit from this deal and have tons of fun!